WE ARE ONE VOICE, a project to EVOKE social change through art and media. This is a multimedia campaign to educate communities across America to celebrate diversity, its rich importance in American society and the role it has played in making America a great country. WHEN YOU DONATE YOU PARTICIPATE AND MAKE CHANGE. EVOKE Foundation is a 501(c)3 not for profit and registered with the IRS as tax exempt. All donates great and small are tax deductible and we always recommended you consult your tax professional before making large donations. 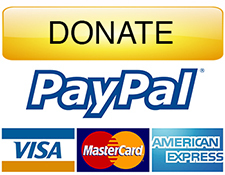 Your donation will be taken securely on PayPal with all major credit cards. Please Select the amount you would like to give. You donation is tax exempt. You will receive a receipt via email once your transaction is completed. WE ARE ONE VOICE is an exploration of our differences and how they bring us all together for one common cause, one voice no matter our race, ethnicity, gender, gender identity and expression, socioeconomic status, nationality, citizenship, religion, sexual orientation, ability or age. We create engagement through daily on-line social media conversations, digital, experiential platforms and the use of traditional media, print and radio. As we travel 9818 miles across country we compound the message day after day for the 60 day tour through 25 cities creating a powerful campaign to educate and raise awareness of diversity in America. WE ARE ONE VOICE touches on a subject that is of great importance and discussion at this moment in history and touches upon all sectors of the public. With protests across the country, people demanding respect for one another, whether it’s the travel ban, mass deportations, transgender rights, women’s rights or anti-Semitic and racist behavior. This project showcases and unites the diversity of the nation, a nation divided, but coming together to facilitate change. These are the voices we want to hear these are the discussions we want to evoke. 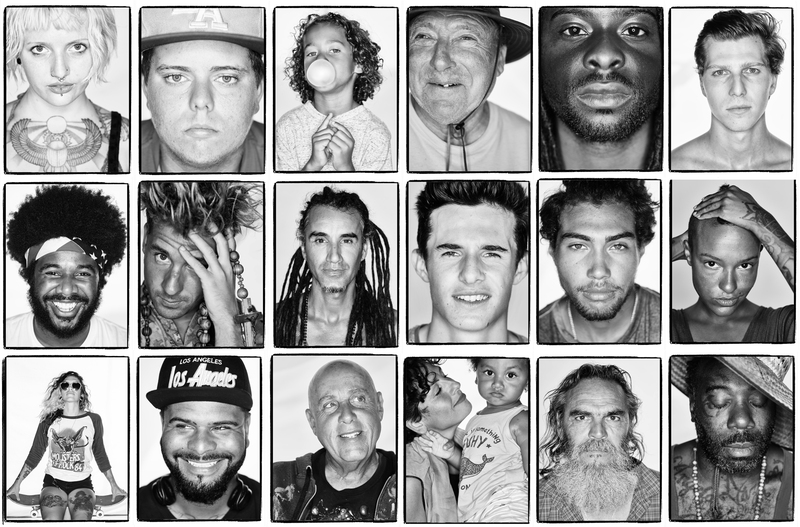 We engaged over 3 million people in the first city we photographed in Venice, California. This was the test to see if the project was firstly interesting to the public and secondly to really see what people would say. Everyone sharing and discussing the importance of diversity in our communities and telling their stories. WE ARE ONE VOICE is the evolution of a project created during the Rwandan conflict in 1994. EVOKE founder Seamus Conlan brought together the resources of the United Nations Children’s Fund, the International Committee of the Red Cross, Eastman Kodak and Life Magazine to help reunite more than 21,000 lost children with their parents using photographic image, this process is now a standard form of tracing people in developing nations. A compilation of these images was chosen by LIFE Magazine as the ‘100 images that changed the world’. The founders have spent their lives dedicated to the idea and implementation of photography as a tool for change and have committed to finding and showcasing to the world important issues through the visual medium. We call upon you to not only give what you can but follow the journey and participate by spreading the word and sharing the stories. We will keep in touch with you and invite you to join our team to participate in the historical journey this summer.